Lismanis’s multi-disciplinary practice explores the breakdown of photographic production, focusing on the pre-determined modes of action that form the larger systems at play. 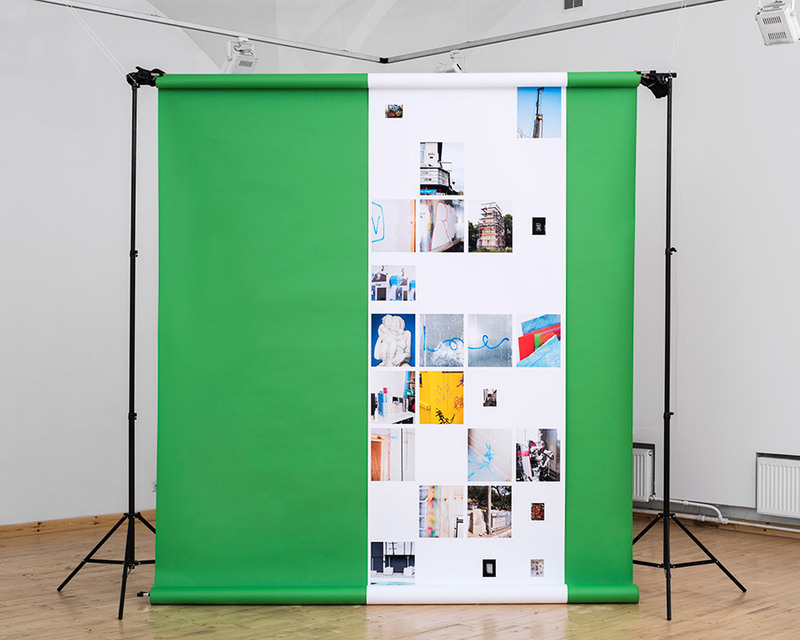 The installation ‘’Trial and Error’’ consists of snapshots from the artist’s everyday including research trips, production tests and documentation of the ‘behind the scenes’ presented on a green-screen backdrop. In ‘How to produce colours beautiful to the human eye, Lismanis presents a montage of instructional and DIY videos, collected from YouTube, demonstrating various photographic techniques and other processes. Using digital tools and technologies to probe and dissect the cyclical nature of production Lismanis provides a questioning survey of photographic process, materiality and authorship.